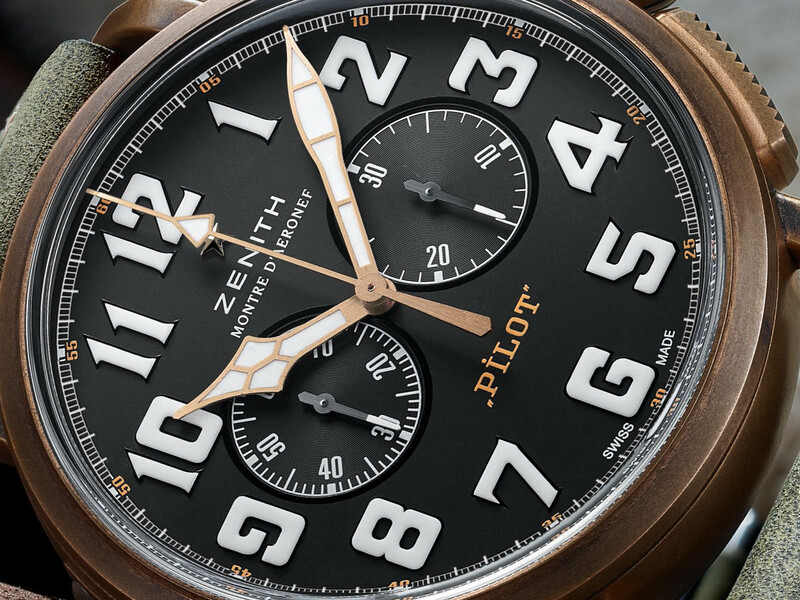 Zenith introduced the bronze version of its highly claimed Heritage Pilot which was debuted during Baselworld 2016. The case measuring 45mm x 14.2mm is made of bronze material. The front side of the timepiece features a sapphire crystal with antireflection coating. The new model sports a solid caseback and it is water resistant to 100 meters. The sandblasted matt black dial has large Arabic numeral indices filled with Super Luminova phosphor material. The new model is powered by the in-house Caliber Ref. El Primero 4069. 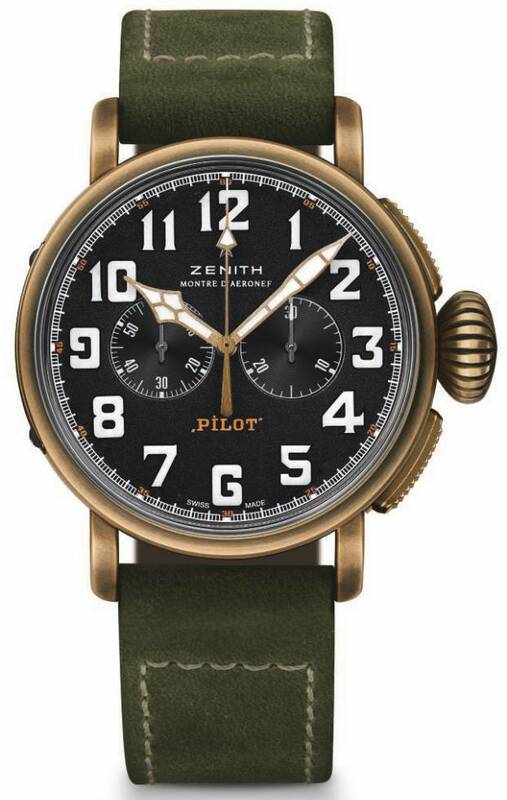 35 jewels movement beats at 36000vph and offers a power reserve of 50 hours when fully wound. 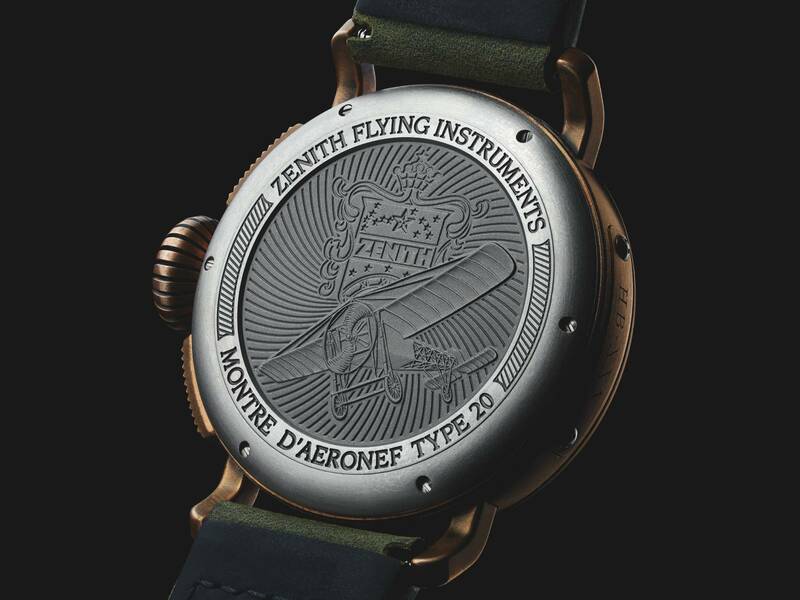 The new timepiece is offered on a green nubuck leather strap and a buckle made of titanium. The MSRP of the models is $ 7,100 (USA list).